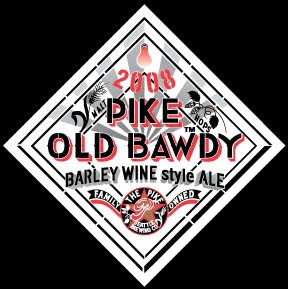 catholicbeer: Beer Tasting Monday - "Old Viscosity Ale" and "Old Bawdy"
Beer Tasting Monday - "Old Viscosity Ale" and "Old Bawdy"
The first is "Old Bawdy" by the Pike Brewing company under the supervision of head brewer Drew Cluley. This is a barleywine style ale with a prominent hop character balanced by sweet caramel flavors. It almost reminds me of a Scotch ale but with a different yeast strain.